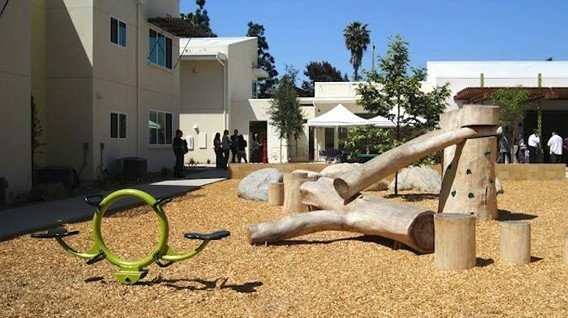 Our Outdoor Learning Environments allow children to play with and among natural elements. Extend the classroom into the outdoors where children can play with and among natural elements such as sand, water & living plants. Tree stumps can be utilized for seating purposes, as “stepping stones” or climbers, or in a variety of other exciting and educational ways. Our Pint-Size Play structures are especially designed to meet the developmental needs of infants and pre-toddlers. PDPlay customizable shade sails and shade structures are an economical and durable option to provide up to 98% UV and shade protection. We have a strong commitment to providing fun and safe play environments for children as well as to the preservation of the earth’s natural resources. PDPlay uses 100% recycled plastic to create bright and colorful play structures and other site amenities that are safer and more durable than conventional wood and metal equipment. In addition to the recycled plastic line of products, for the past 7 years we have focused heavily on building natural playgrounds which are the most environmentally friendly playgrounds on the planet.